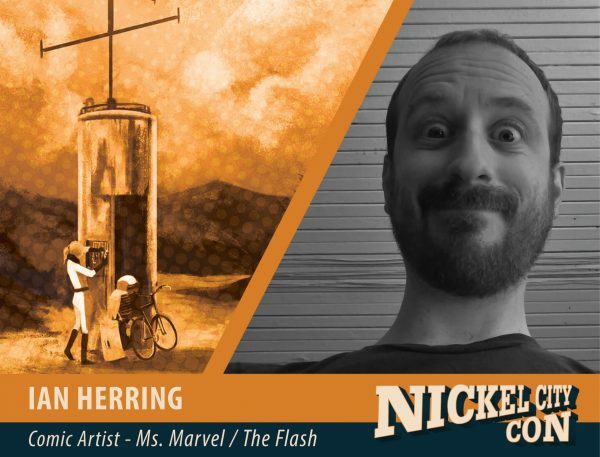 Ian Herring is an Eisner Nominated Colourist that split his youth between small town Ontario and smaller town Cape Breton. He was raised on Nintendo and reruns of ‘The Simpsons’. Somewhere during this time, he learned to draw & color. He has worked on countless projects for Marvel, DC, IDW, and Boom! Studios including Ms. Marvel, Silk, The Flash, Jim Henson’s A Tale of Sand, and Teenage Mutant Ninja Turtles.